I picked out a nice looking piece of wood and began to cut it into tablets. Then I beveled the edges and sanded the fronts smooth. I chose my designs for my prototypes and got to stringing. It was a lot of fun! These are all available in my Etsy shop, and I'm available for custom orders. My favorite is the Old English letter, which obviously can be done in any letter or font. I think they'd look great on each side of a bed, or on the bedroom doors of a family home. On the same note, just this morning I saw a post on The Divine Minimalist about my string art! Special thanks to a long time friend, Betsy Webster, for featuring my string art tablets on her blog today. If you haven't checked out The Divine Minimalist yet, hop over when you have a chance. It's like a steady stream of eye candy for those of us who love design and home decor. Plus all kinds of creative ideas to keep your creative side lively and fresh. I LOVE her post on wood grain candles, seen here. Thanks Betsy! Aah, what an honor - both in the same day! Yesterday was a big day for the Frank Lloyd Wright Table! Lindsey, from Better After, featuring not one, not two, but THREE of my before & afters on her blog! I LOVE better after. I subscribe to the updates so everyday I get 3-4 morsels of inspiration from other furniture refinishers in the world. I was so shocked to see my pictures come through the feed! Her post is super sweet too, made me blush! Head on over to Better After and cruise through all the amazing transformations. Thanks again Lindsey! Have a wonderful weekend everyone. I love Design*Sponge, I've been following them for a few years now and I've been lucky enough to be featured on their front page as part of their before & after series. If you haven't checked out Design*Sponge before, head over! There's something for everyone and a LOT of great ideas. A big thank you to the team at Design Sponge for including my table! "I know that painting or drawing on wood continues to attract controversy, but today I’m excited to share two* of the prettiest painted furniture pieces I’ve come across recently. First up is this Frank Lloyd Wright-inspired table by Jesse Dresbach, owner of the furniture-restoration shop Nine Red. We’ve featured some of Jesse’s skilled restoration work in the past, but this may be my new favorite — the combination of the ultra-dark espresso stain with the rich, earthy color palette is wonderful, and the pattern is a worthy homage to the talented architect and designer who inspired it. According to Jesse, the secret to this project is Frog tape, but I would have to add a patient, skilled hand to the requirements. If you don’t feel like acquiring either of those, you can always purchase the original from Nine Red. 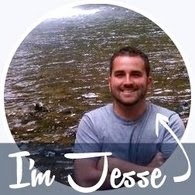 Great work, Jesse! — Kate "
I like how it came out, and I went a little more subtle with the flower this time. They are cute and make some very interesting phrases as your eye goes across them... This table is for sale in the shop, and will have free shipping for the holidays. Have a great weekend! I liked it so much I put a bird on it! Haha... Portlandia reference. This one is for sale, and I'm going to do free shipping. Luckily the legs come off very easily, so it won't have to go show up in a giant box! On the horizon I have another Sakura table, and I'm about to finally get the ball rolling with the string art wall tablets. Have a great weekend!